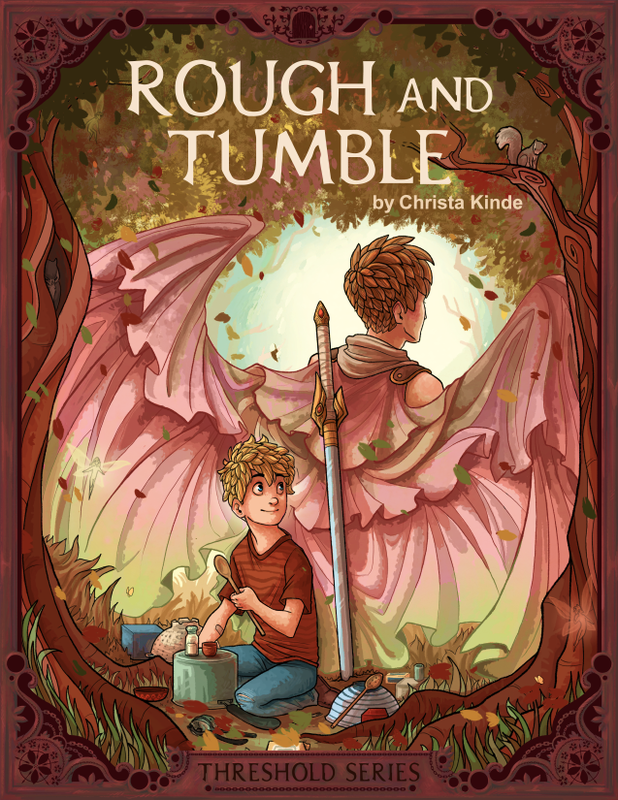 The Threshold Series by Christa Kinde [Zondervan] is a supernatural adventure involving angels, appropriate for tween/teen readers aged 11 and up. Book 1: The Blue Door ♦ On an ordinary afternoon in late July, Prissie Pomeroy stumbles into an adventure on her way to the mailbox. 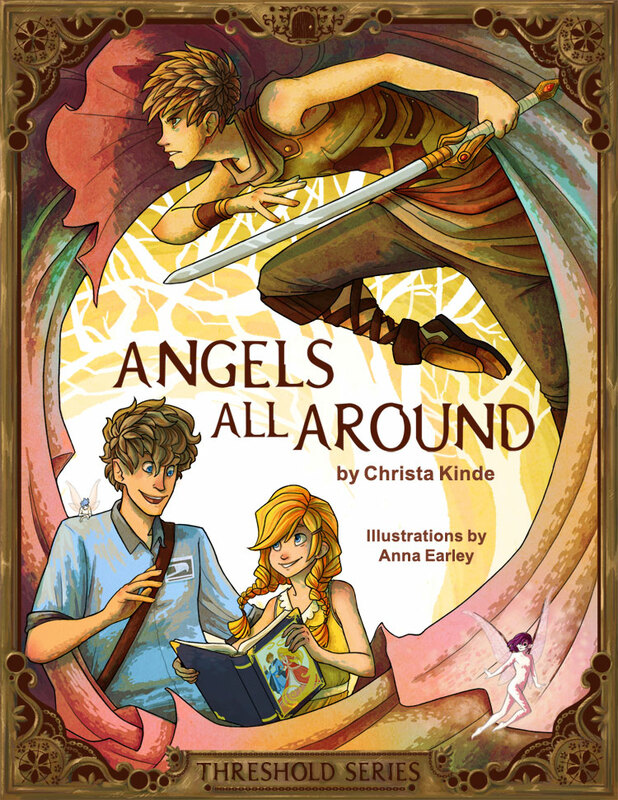 Koji—a strange boy in shining clothes—claims to be an angel, and she’s stunned to learn that there are others living and working in her hometown. 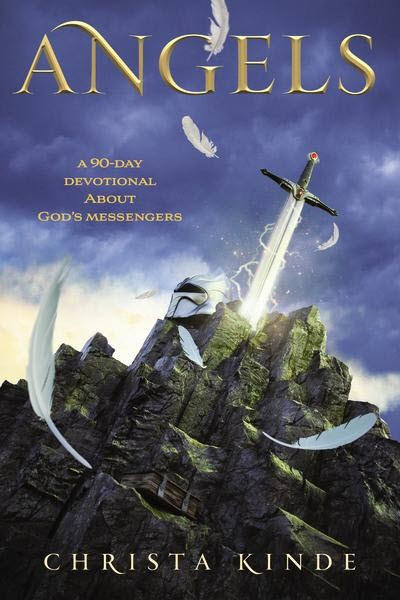 None of them can explain why she’s suddenly able to see the unseen, but with God, nothing is impossible. 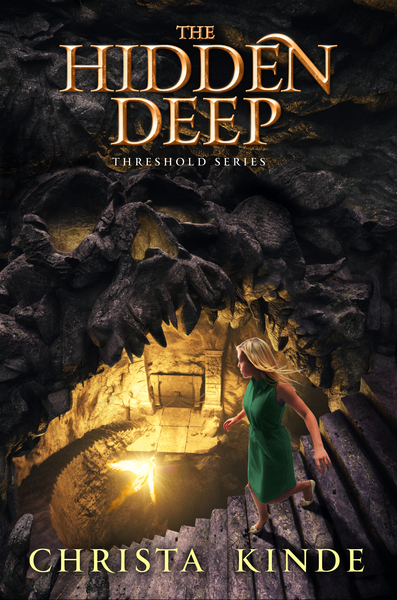 Koji and his teammates answer her questions, change her perceptions, and strengthen a faith she’ll soon need… for danger lurks in the darkness. Book 2: The Hidden Deep ♦ Harvesttime is in full swing when Prissie Pomeroy learns that something terrible happened in her family’s orchard. With school back in session, the rift between Prissie and her friends widens while Ransom and his friends keep getting on her nerves. 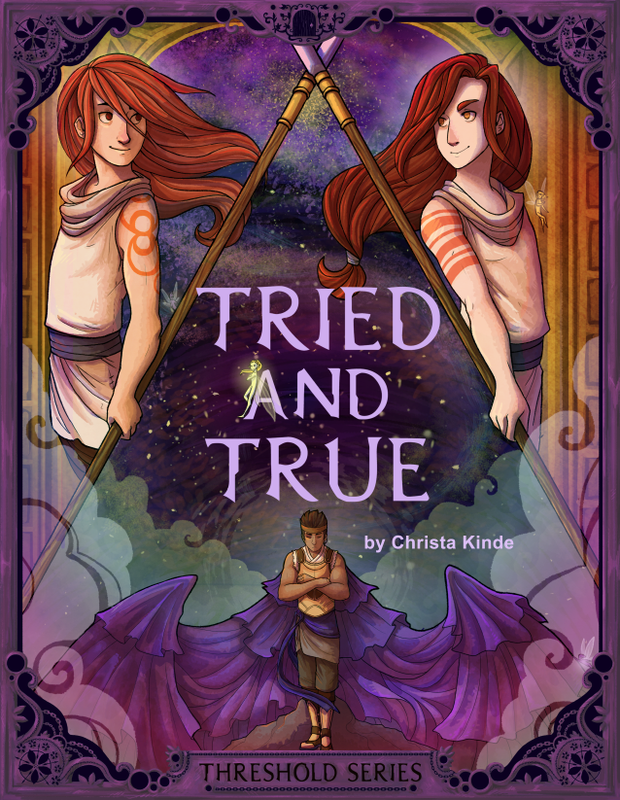 As Koji and Milo introduce Prissie to the rest of Jedrick’s Flight, she’s drawn increasingly deeper into their world and closer to its dangers. A kidnapped apprentice suffers. 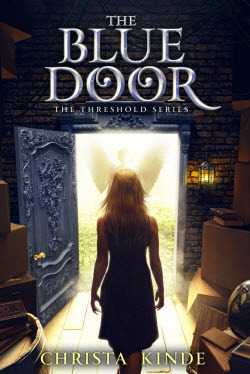 A chained door bodes ill. A tiny angel makes a big difference. A battle line is drawn. 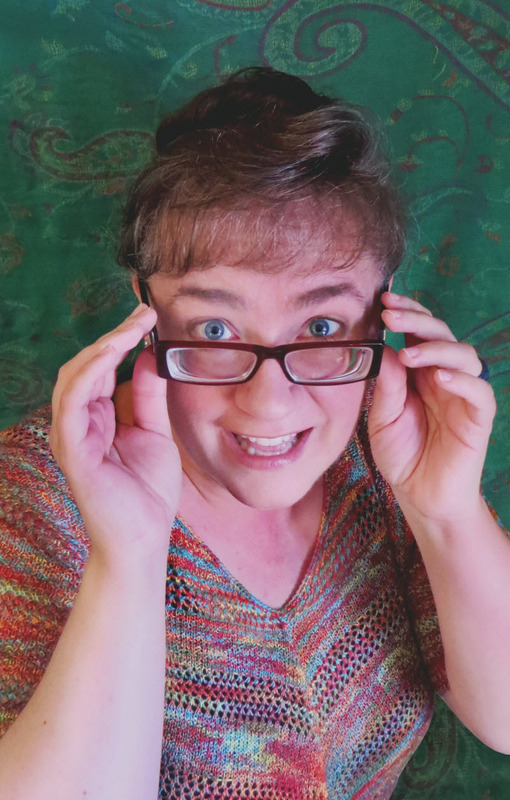 Everything Prissie thought she knew is about to change… again! 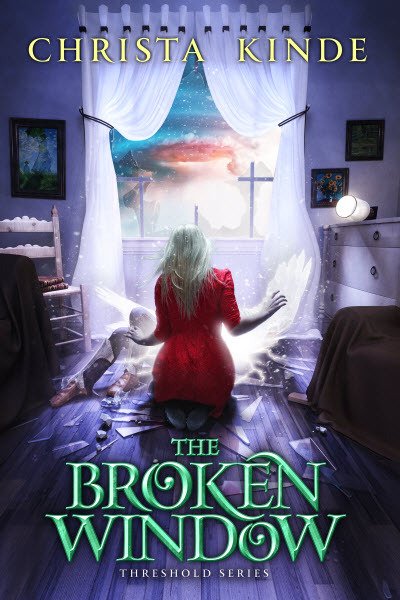 Book 3: The Broken Window ♦ Christmas is right around the corner, and Prissie’s gift list has expanded to include an entire Flight of angels. 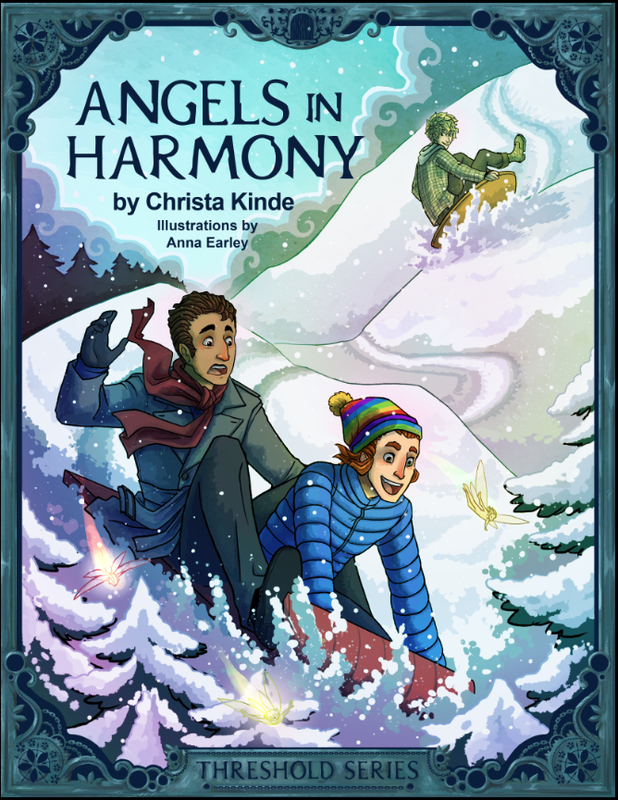 As she searches for the perfect presents for her friends, she learns that good ones can come in unexpected wrappings, great ones come at a high price, and the greatest gift of all is still free. 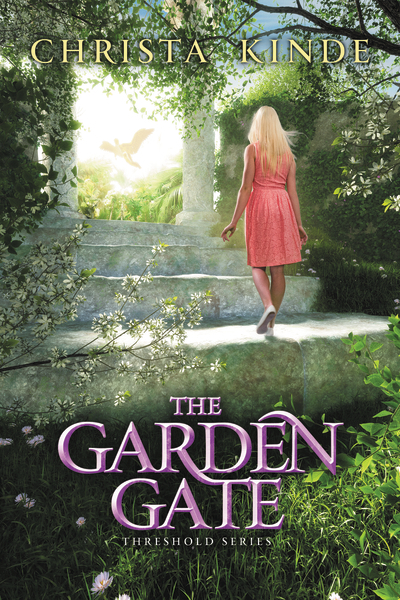 Book 4: The Garden Gate ♦ The Pomeroys pull together in the aftermath of the storm that shook her hometown—and Prissie’s faith—to its very foundations. Letting go proves difficult, and holding on takes all of her courage. As spring comes to the orchard, a cryptic remark from Abner hints at West Edinton’s long-kept secret. 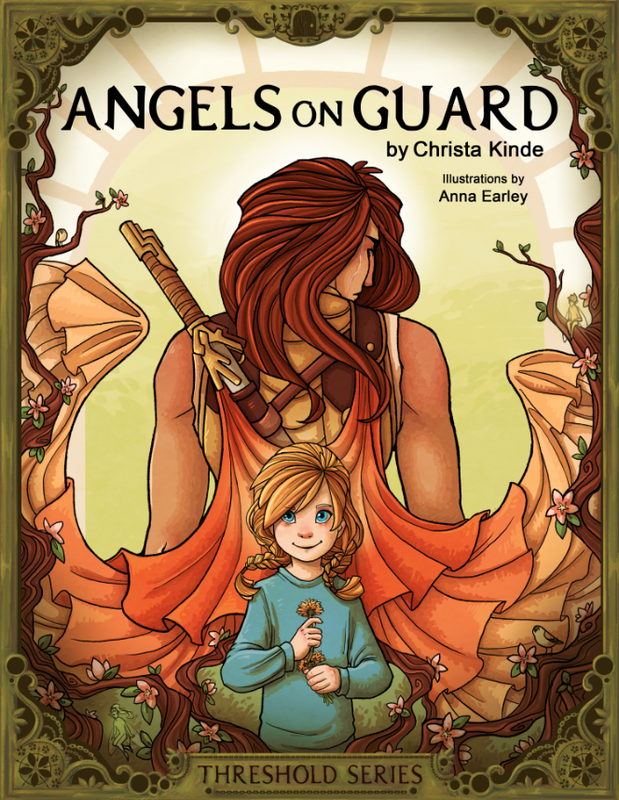 While ranks of the Faithful rally to defend what’s most precious, Prissie discovers that angels aren’t the only ones who are Sent. The series is complete, but the story is far from over!